2018-19 Panini Impeccable Gold Kyle Kuzma Lakers AUTO 7/10. Shipped with USPS First Class Package. Kyle Kuzma 2017-18 Panini Opulence Rookie Auto Gold /79 Los Angeles Lakers LA. Condition is Like New. Shipped with USPS First Class Package. Average 3 silver rookies per box 10 pink ice. Look for signature cards and Doncic. 50 total cards. New Listing2016-17 National Treasures D'Angelo Russell Jersey Card, Century SP #/99 Lakers! New Listing2016-17 National Treasures D'Angelo Russell Jersey Card, Threads SP #/99 Lakers! Includes a hard plastic case. 2018-19 Panini Court Kings Moritz Wagner Level IV Rookie RC. Condition is Brand New. Shipped with USPS First Class Package. PLAYER: JORDAN CLARKSON PARALLEL. SERIAL NUMBER: 17/79. 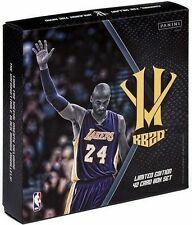 2018-19 Panini Court Kings LeBRON JAMES LAKERS BASE RUBY PARALLEL #'d 34/99. Condition is Brand New. Shipped with USPS First Class Package. 2017-18 Prestige Kyle Kuzma Bonus Shots Signatures Crystal Auto RC Autograph. Condition is Brand New. Shipped with USPS First Class Package. 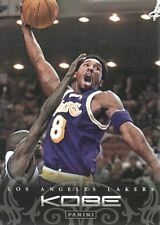 PLAYER: KAREEM ABDUL-JABBAR PARALLEL. CARD NUMBER: 115. 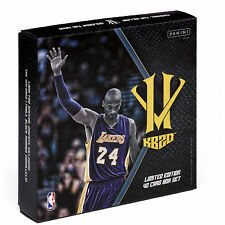 MONSTER BASKETBALL ISSUE, 2018 SELECT LOADED WITH PRIZMS, #ED PARALLELS, INSERTS, ROOKIES, PATCHES AND AUTOS ! 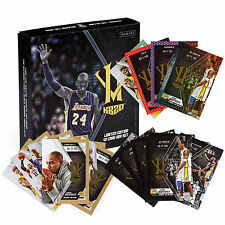 12 BOX 1 CASE BREAK OF SELECT BASKETBALL. SAT 4-27 BREAK, 10:30 PM EASTERN. A great investment of this sharp shooter who has the potential to take off at any moment. I will then send you a combined invoice. Hello friends. Sweet Star here. The card is NM/MINT or Better. MAGIC JOHNSON 2017-18 PANINI PRESTIGE OLD SCHOOL CRYSTALS AUTO AUTOGRAPH LAKERS. Condition is Brand New. Shipped with USPS First Class Package. 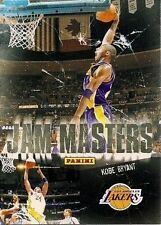 2018-19 Panini Instant NBA #36 LeBron James Lakers Card - Only 210 made! Still a special and very limited card. 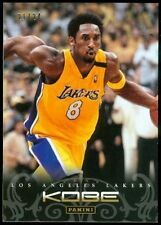 This card was sold for only 24 hours on Panini's web site and is now sold out and out of print. I would say they are in Near Mint condition, and may have a corner or two with a little bit of white showing. New Listing2018/19 Panini Select Basketball LeBron James Blue Die Cut! 160/249! HOT!! Super sharp Die Cut of the best player in the world! Get this rare beauty while you can! 2018-19 Panini Court Kings Lonzo Ball Yellow Mint. Condition is Very Good. Shipped with USPS First Class Package. PLAYER: LONZO BALL PARALLEL. CARD NUMBER: 20. 2018-19 Panini Prizm LeBron James Sensational Swatches Game-Worn Jersey Patch orange color! Condition is Like New. Shipped with USPS First Class Package. 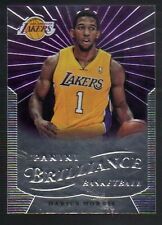 KOBE BRYANT 2018/19 PANINI PRIZM EMERALD GREEN PULSAR REFRACTOR /25 RARE SSP!!! 2016-17 National Treasures D'Angelo Russell Jersey Card, Century SP #/99 Lakers! 2016-17 National Treasures D'Angelo Russell Jersey Card, Threads SP #/99 Lakers!